Praise the Lord who is our coming king! I am full of joy and gratitude as I write to you. I am picturing so many of your faces and am reflecting on so many Kingdom of God moments that we have shared together over this liturgical year. I am thinking of the beautiful worship services in all the deaneries, confirmations, ordinations, Holy Week at the Cathedral, and the stunning experience of the God of love at Revive 2016. As some of you may have heard, I have just returned from a week of reciprocal mission in Jos, Nigeria. I had the honor of co-dedicating with His Grace Benjamin Kwashi two facilities—Resurrection Clinic, a training center and holistic health care center outside of Jos, and Resurrection Hall, a large classroom to teach the former orphans and community children at Zambiri School. Both buildings were named to honor the generosity of the people of God at Church of the Resurrection. 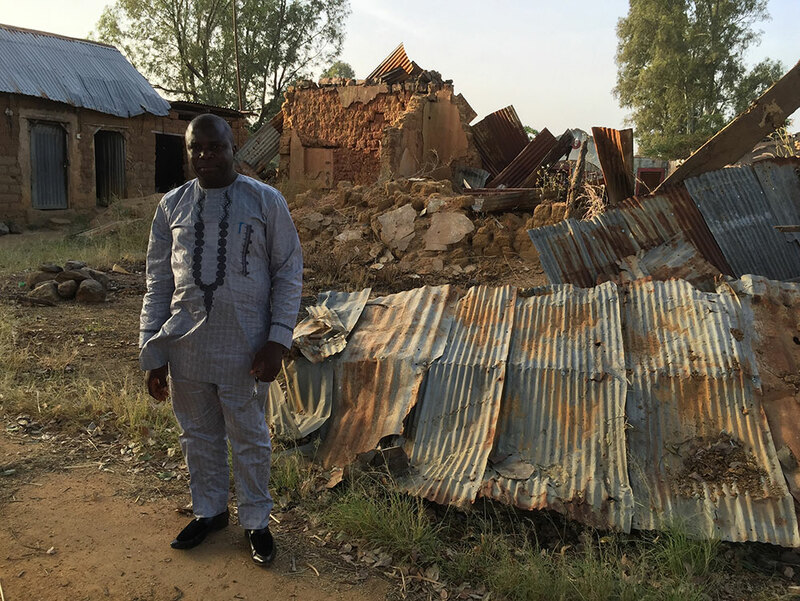 I also had the profound honor of visiting four villages outside the city of Jos that have been literally burned and destroyed by Islamist cattle herdsmen. Pastor Matt Woodley and I had joined a team of British Anglicans led by the Baroness Caroline Cox. Apparently, these same herdsmen were provoked by our visit and sought to ambush our mission party. You can read the article here. Many of you have reached out to assure Katherine and me of your prayers. That means so much. I honestly was not aware of the level of danger that surrounded us. Instead I was shaken to my core by the stories of surviving villagers. I was especially moved by a conversation with Pastor Paul whose own home was destroyed. He also witnessed the execution death of a fellow pastor. I was shocked on hearing this. This was not a documentary that I was watching in my living room in West Chicago. This was a living testimony of the persecuted church in Northern Nigeria. And this is our family—yours and mine. Pastor Paul standing in front of his demolished house. Archbishop Kwashi has regularly taught us in the West that a faith worth living for is a faith worth dying for. He and Mama Gloria have deeply suffered persecution as well. Against this backdrop, I would also like to comment on matters closer to home—our recent presidential election. Before I departed for Nigeria, I considered writing to you about the election’s results. I refrained because emotions among all of us were intensified and, honestly, I was not sure what to say. Never before have I seen an American moment where Kingdom-committed Christians are either so encouraged or so devastated. Our experience in Nigeria and conversations with Christian leaders in the Diocese of Jos helped to put some things in perspective. First, as Archbishop Kwashi so eloquently reminded us, Christ is our one king and we are subjects of our first country, which is the Kingdom of Heaven. Two, we as brothers and sisters in this diocese must pass the test before us of “doing everything in love.” We must eschew a spirit of individualism and competiveness that sees a certain political party or political leader as an affinity greater than fellow Christians. Furthermore, we must respect the dignity of every human being, which certainly includes women, Latinos, and other racial minorities who are feeling especially vulnerable in these days. And, I hasten to add, we must lay down our lives for the dignity of the unborn that are the most vulnerable segment of our American society. This will take a filling of the Holy Spirit to do so. Let us run to our Advent disciplines of prayer and Bible reading. Please practice hospitality in this season to those who think and live differently than you. Please be intentional about having unbelievers and those of different ethnic or racial background than your family heritage in your home. Prepare for the coming of Jesus by building relationships with all those he came to save. I encourage you to read the Call to Prayer After the Election written by our Archbishop Foley Beach. Brothers and sisters, let us pass this current test by doing everything in love.